Bob was seen reading the ‘Bandywallop News’. They lived in broken-down barracks with an outback dunny. Bruno broke the bookcase and made a mess of the books. And Bruno loved his brocade basket. Let’s explore these different concepts in paper form. All these will bring you happiness, and it won’t even cost you one dollar! What kinds of topics might you find in a newspaper? Can newspapers be used for anything other than reading? What is an outback dunny? Why do you think the dunny was outside the house? What might you find in there? Why do you think Bruno became boisterous in the new house? What were some of the books he was holding in his mouth? Do you think he wanted to read them, or just mess them up? What is a brocade basket? Why doesn’t Bruno want anyone to know he liked it? 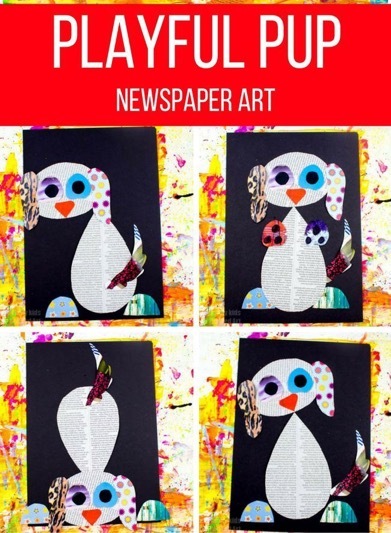 Create a boisterous, bouncy and brilliant piece of Bruno Newspaper Art using only newspaper and other bits of scrap papers. 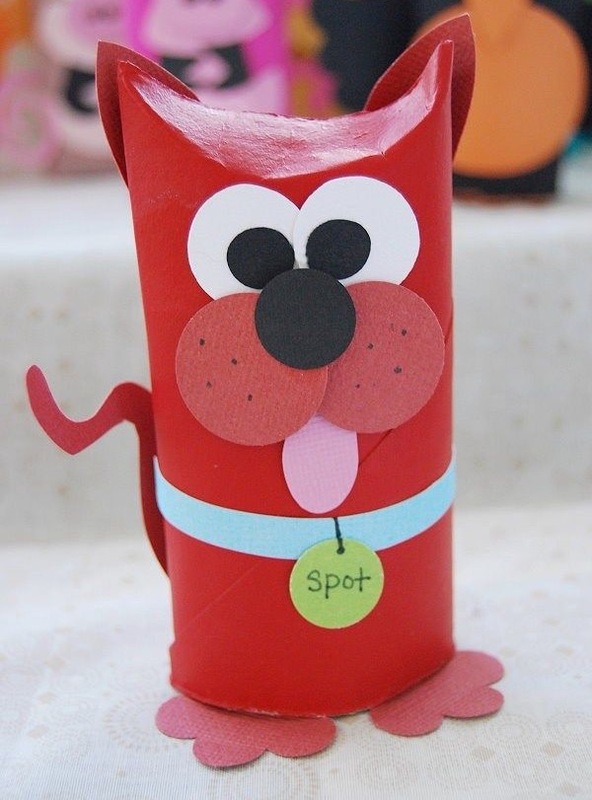 See this example from Arty Crafty Kids. Once you’re done in the dunny, use your toilet roll to make your own doggie craft! Choose any kind of dog you like! 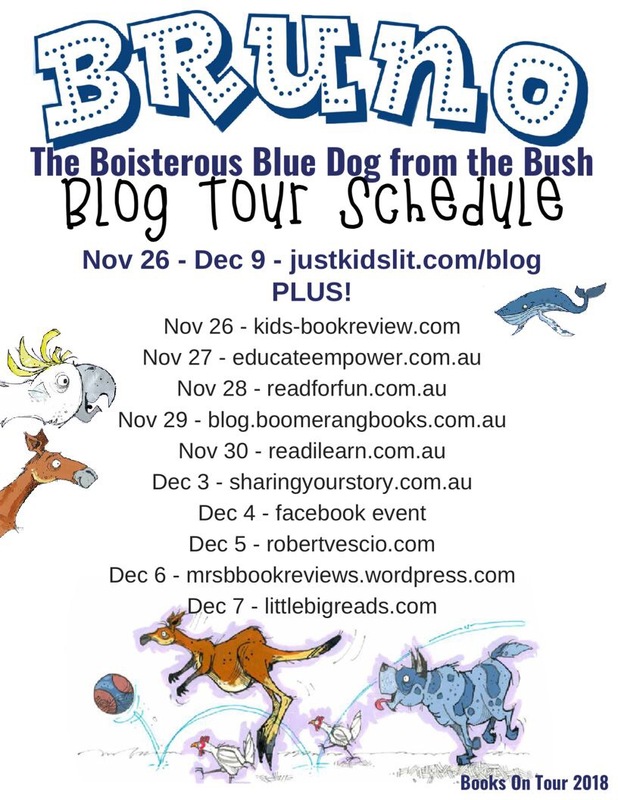 Why not use your paper roll dog in some role play – make a Bob to go with a Bruno! 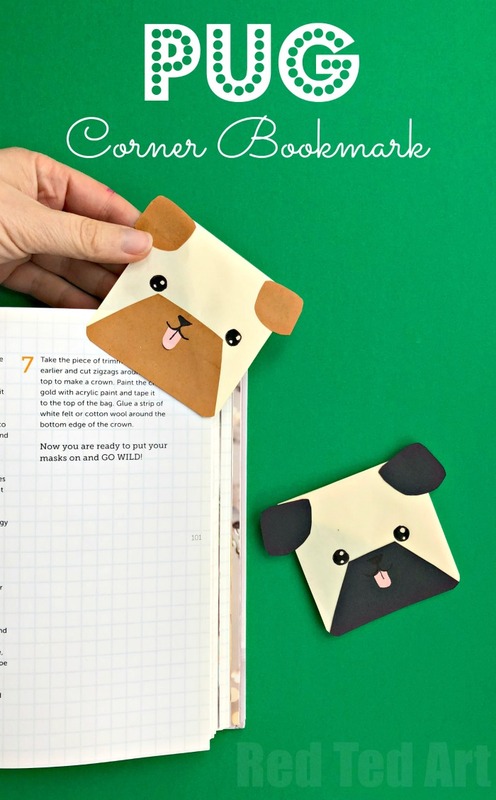 Bruno may have made a mess of the books, but you can keep track of your place by adding this adorable puppy bookmark to your page. 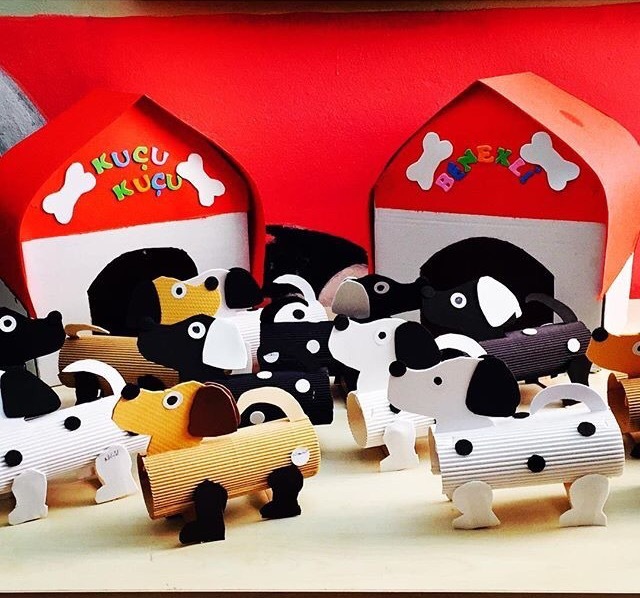 Practise the art of folding and following instructions by re-creating Bruno, or make any dog breed you wish! Try these instructions from Red Ted Art. Theirs is a pug but you can make it what you like. Do you have a dog, or a toy dog, that would love their own brocade basket? 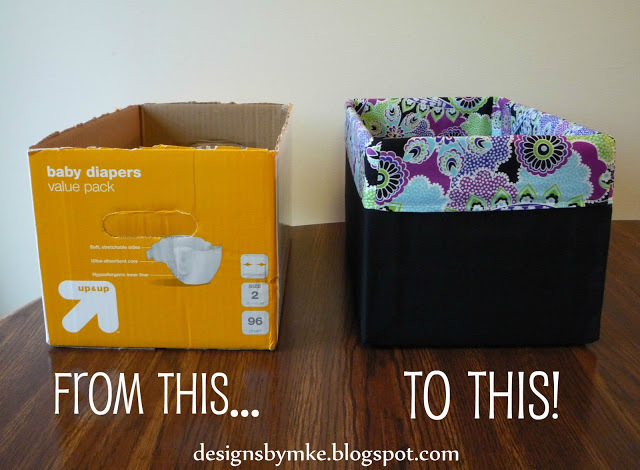 You can up-cycle an old cardboard box into a fancy basket that is both stylish and comfortable!